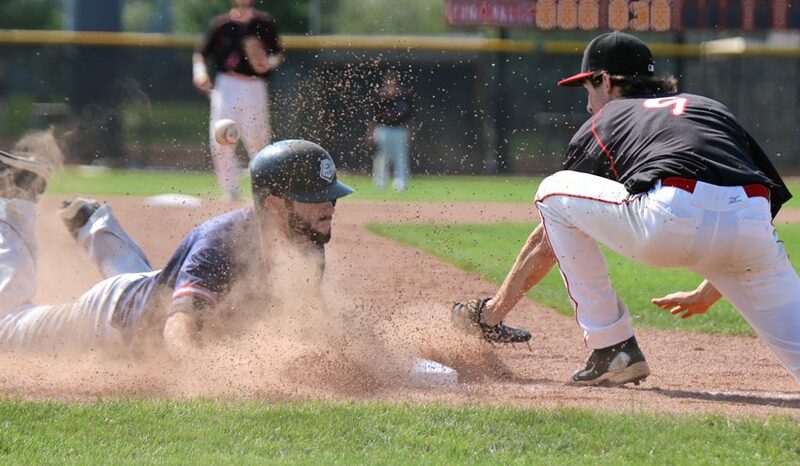 This photo was taken by Jean Matua during the state amateur baseball tournament that the Kimball Express eventually won, in September 2017. (Can you see the ball behind Brooks Marquardt’s head?) “Great shot – you can taste the dirt” was a judge’s comment. 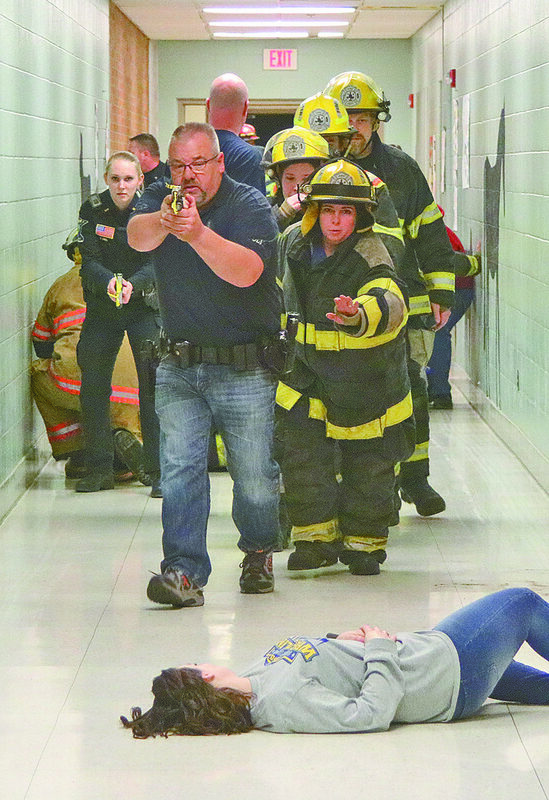 “Powerful!” was the single-word comment by Colorado judges for this photo, taken by Jean Matua during the active-shooter training at Kimball Area High School. At the annual Minnesota Newspaper Association convention in January, the Tri-County News took home a pair of photography awards. Judged by our peers at the Colorado Press Association. Editor Jean Matua earned second-place awards for a sports photo (above), and a feature photo (at left). The three-day convention in Bloomington is a great time to reconnect with newspaper colleagues, and to celebrate each others’ successes. 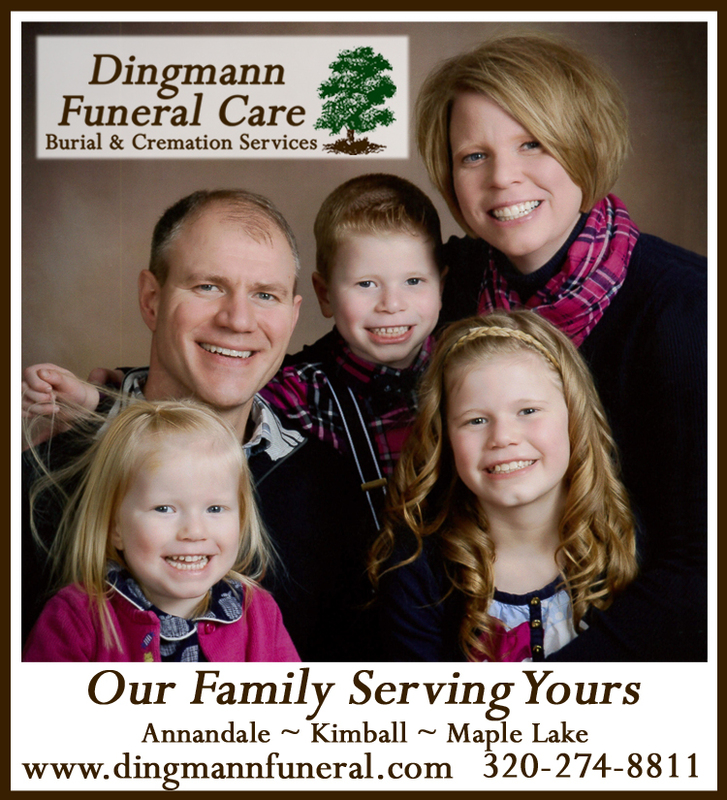 The annual contest, Better Newspaper Contest encourages us all to do our best each week. The awards night is then our chance to celebrate the year’s efforts.